The Dodd-Frank Act and the SEC Whistleblower Rules set forth detailed requirements for a whistleblower to earn a reward. Among them are the submission of a tip and the claim for a reward. The are completed on the government forms referred to as Form TCR and Form WB-APP. TCR stands for Tip, Complaint or Referral. The Form TCR is a six page government form created by the SEC to record information form individuals submitting tips. 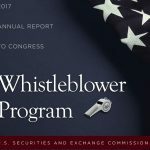 To receive an award, an individual must fill out and submit the form to the SEC whistleblower office. The form asks for information about the whistleblower and his or her attorney. It requires information about the previous reporting of the information to the company or the U.S. Government. It also asks for information about the company or individual at issue in the tip, the facts concerning the violation of the federal securities laws and a description of the supporting material’s in the complainant’s possession. For an individual to proceed anonymously, the person must retain the legal services of a lawyer. The Form TCR may be submitted online, by fax or mail/delivery. Once it has been received, the information moves through the process established by the SEC so that it is recorded and considered for investigation by the enforcement staff. SEC Form WB-APP is used to make an application for an award in connection with a covered enforcement action. Individuals who have previously submitted a Form TCR have 90 calendar days following the date of the publication of the Notice of Covered Action to submit the material requested by the Form. A Notice of Covered Action is published in matters where there is a final judgment or order, by itself or together with other judgments/orders in the same action, imposing monetary sanctions exceeding $1 million. Since August 2011, the SEC has published more than 800 Notices of Covered Action. The Form WB-APP involves a variety of questions regarding the claimant’s identity, verification of the tip, information about the enforcement action, the whistleblower’s eligibility for an award, and a section to explain the basis for an award. The declaration section must be signed by the claimant. The WB-APP must be submitted by mail/delivery or by fax. 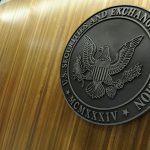 Following the submission, it is referred to SEC Claims Review Staff for an initial recommendation concerning whether the claim for an award should be granted or denied. 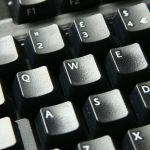 Following this Preliminary Determination, the whistleblower is given the chance to submit additional information concerning the eligibility for an award. The Commission then makes the final determination of the reward, if any, and its amount. Following the determination, an appeal can be taken to the appropriate Court of Appeals.